I’m feeling lifted, elated – lighter! Last Saturday, I finished an 8 week class through my local university extension. I love to learn and decided to leverage my company’s tuition reimbursement program. I have to admit that I had forgotten how much time it takes for homework and lectures so I would spend all day Saturday or Sunday studying. You see, a “B grade” is mandatory to qualify for the hefty tuition reimbursement. Both my bank account and my ego are invested in me doing well! I feel lighter because I have space back in my schedule. I can dedicate this energy to another interest or to do nothing at all. Girlfriends, you always have time to do what is important to you. I’m often asked how I have enough time to accomplish all that I do and the answer is that I chose wisely. I can’t do it all so what I do, I do because it is necessary and/or beneficial. I make sure I am spending my time in alignment with my responsibilities and values. I exercise “choice”. As a working Mom with two small kids, I learned that anything I committed my time to had to benefit my career, my family or me personally. I learned that lesson but I didn’t practice it! Duh!! I thought that giving 150% to my family and job was what you were supposed to do. Remember the saying, “a woman’s work is never done?” The more I gave to others, the better person I became, right? It only took grinding to a halt with a clinical depression to rewire my thinking. I became open to a new way of allocating my time and energy because I had to change in order to survive. Every day has to include ME time and the rest of my schedule goes from there. I am in the pilot’s seat! ME time is not selfish. ME time re-calibrates my mind and body. ME time gets me in touch with My Girlfriend Voice. ME time is often 30 minutes at the beginning of the day and several evenings during the week. 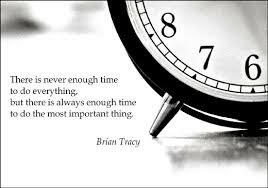 Do you struggle with too little time and too many interests? Do you feel guilty taking time out for yourself? Let’s chat; just between us Girlfriends! I’d love to hear your thoughts in the comments section below.